The University of Arizona Eller School of Management business ethics competition is held in Tucson, October of each year. The Southeast Regional Ethics Bowl is held in October/ November in Florida. The APPE National competition is held February/March of each year at various locations. The Mount Saint Mary's ENACTUS competition is held in March. 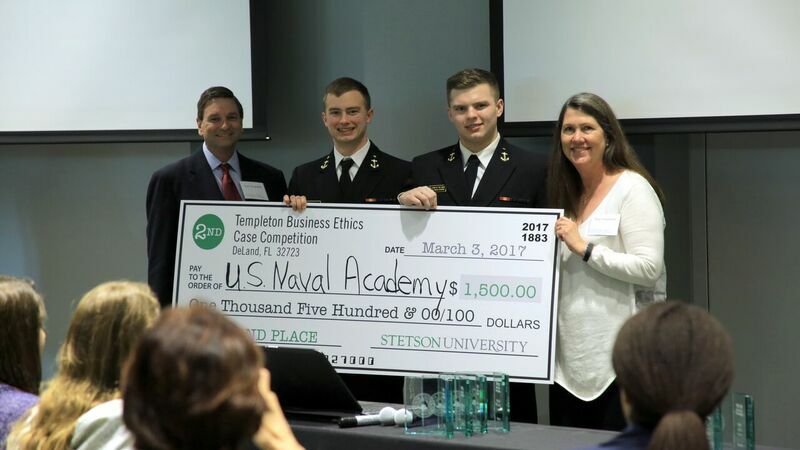 The Templeton competition is in April and the Military Ethics Case Competition is held at USNA, Luce Hall, each April. The scheduling and travel does require missed class time, so team members must be in good standing academically and militarily, in order to participate. September of each year a recruiting email will be sent be the team captain. Tryouts occur in Sept. The team typically takes on 4 or 5 new members each year.